I know, I know, everyone had a little more to eat these days with all those family-friend dinners and the delicious, seasonal cookies and treats.. at least I did (here, have a look on what I'm talking about). I still am full, actually. 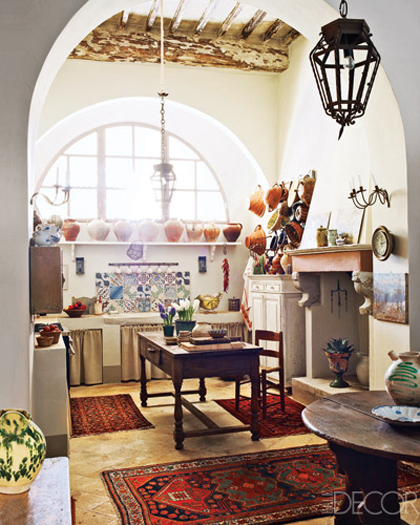 But that doesn't stop me from posting about beautiful kitchens. 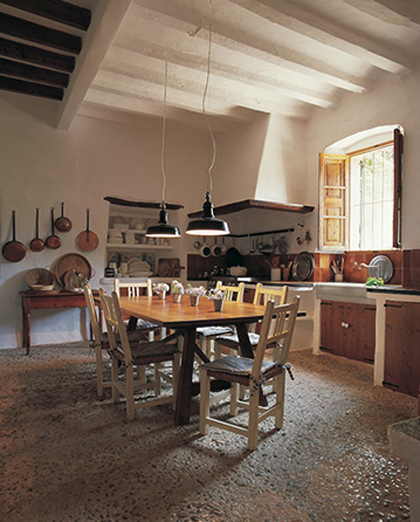 Especially, when it comes to rustic, country style ones, with all those woods and stones, the high ceilings and definitely with some brass pans hanging around! 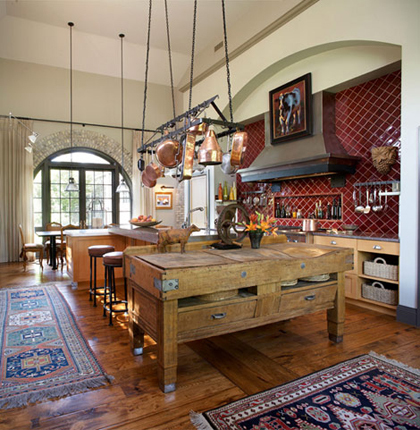 4 comments on "Rustic kitchen inspiration"
these are so my cup of tea! fantastic choices! Elpizo na eixes kalo Pasxa Eleni! Filia!